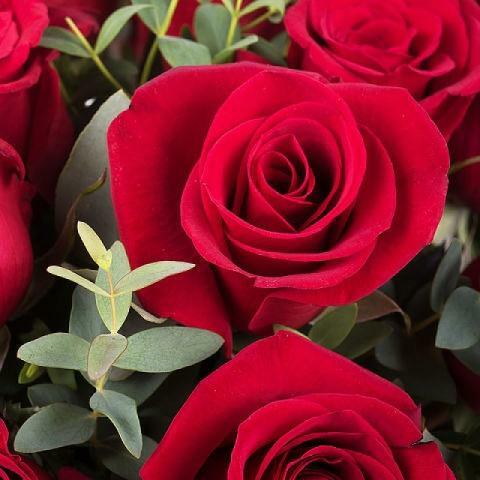 A bouquet of a dozen red roses sends the clearest message possible of your infinite love. 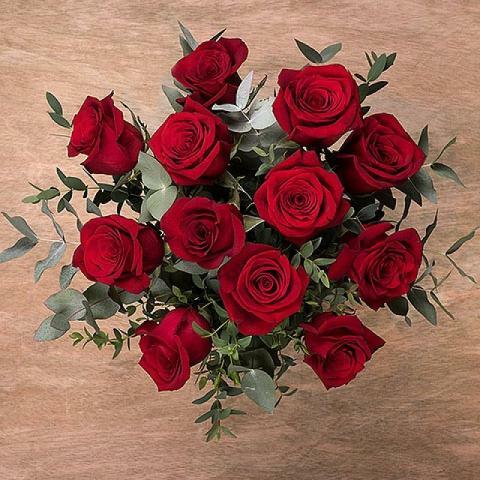 Send our classic bouquet to the one you love today and show them how much they mean to you. 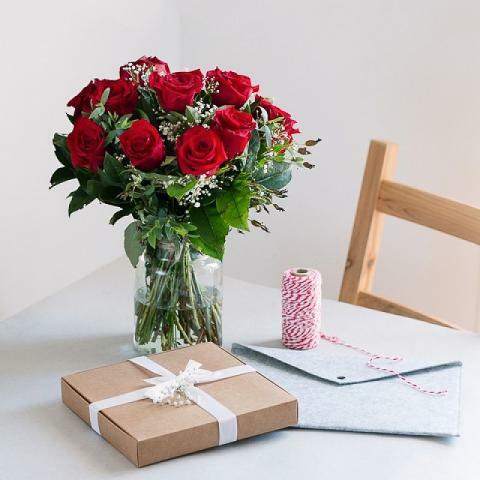 Make any day as romantic as Valentine’s Day with our bouquet of 12 red roses. Flowers is beautiful and smell amazing! Good service! Everything went as promised, which is not usual on internet. Gorgeous and very on time! Very good service. Very late delivery. just wanted to thank your company again for the great service. Carte/chocolats/vase/bouquet impeccable et livré à temps ! Sehr gut! Ich Ben sehr zufrieden mit dem Service! Ordered from over seas great job !! Beautiful flowers. Beautiful presentation and gifts! Loved it. Hella good! Right time and right spot! Great job!! Service was good as always. My fiance loved the flowers and right on time as usual. It’s gorgeous. Arrived in perfect condition. Fresh fabulous roses. Sad that they didnt last long! Flowers are gourgeous!!!!!! Thank You for service. Like it very much! Thanks a lot! Thank you very much for flowers. Very beautiful. Product and service was amazing! Lovely! And with the vase! Great product, just in time and perfect package. The bouquet is gorgeous ! The flowers are really nice, thank you! Everythig I ordered was delivered on time. On time and great quality! Very nice bouquet and delivered on time. Excellent surprise and the way of making it! It's good, but flowers did not look very fresh.. I love it but it delayed one day after valentine day. Just in time and beautiful flowers! Very beautiful flowers and an excellent service! It’s a very nice buquet of roses! The flowers were great, delivery a bit late! It was incredible surprise! Thank you! Perfect service! Im a very happy customer! Flowers of good quality, delivered on the same day. 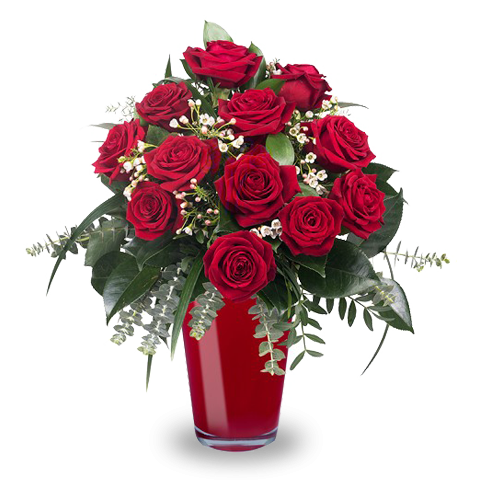 The best online florist shop. very good quality and delivery on time. No problems. Everythink was good, nice delivered. They sent on time, flowers where seriously good! Very reliable and honest company. It was easy and reliable. Thank you! They loved the flowers! Well received and appreciated - on time - first class service. Flawless delivery to my wife overseas. They completed everything including my special request. Thanks ! Delivered as requested, friendly customer service.